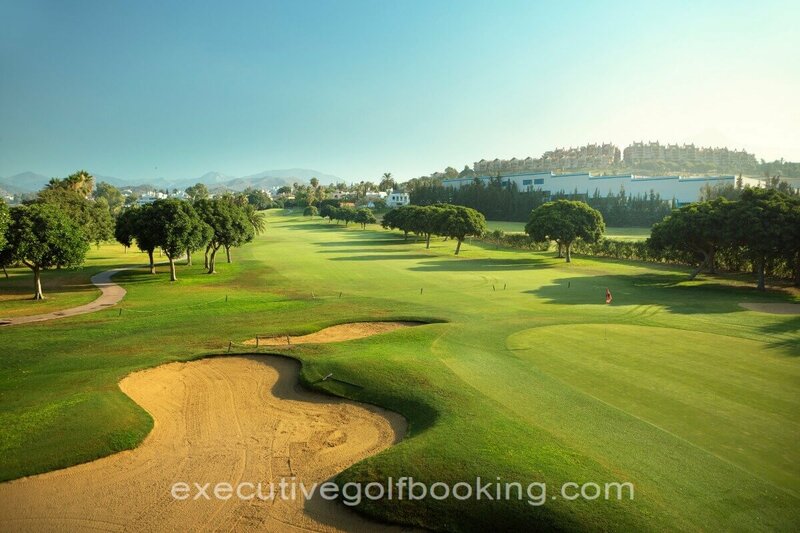 The La Cañada Golf Club is located on the Costa del Sol, in the Sotogrande resort, a paradise for lovers of a calmed life, high quality and sports tourism . 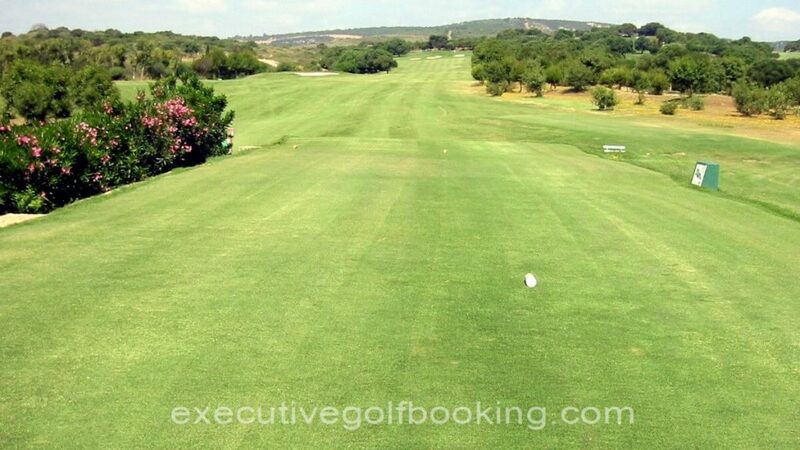 The municipality of San Roque concentrates a high number of excellent golf courses, like the Real Club of Sotograde and highlighting Valderrama , home of the Ryder Cup in '97. The golf course with a length of 5,841meters from white tees has18 holes ( Par 71 ), nine holes designed by David Thomas and the other nine by Robert Trent Jones Senior . 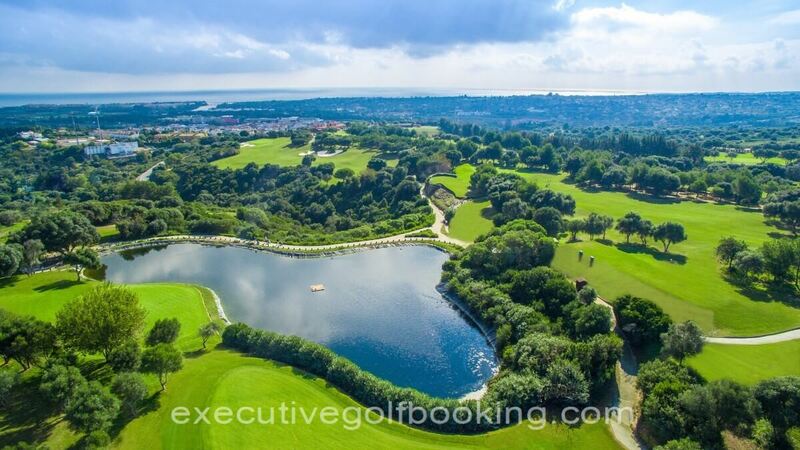 His entertaining and not very long fairways, fast greens , large trees and spectacular views of the Mediterranean Sea constitute an ideal for sun and nature . In adverse weather conditions when the other fields of the Costa del Sol are temporarily closed the magnificent rain drainage system allows us to have the field open and playable all the way . Its 18th hole highlighted by a large ravine that breaks its route and that names the field . The tees and bermuda fairways and greens are bentgrass , when getting a desired green speed . 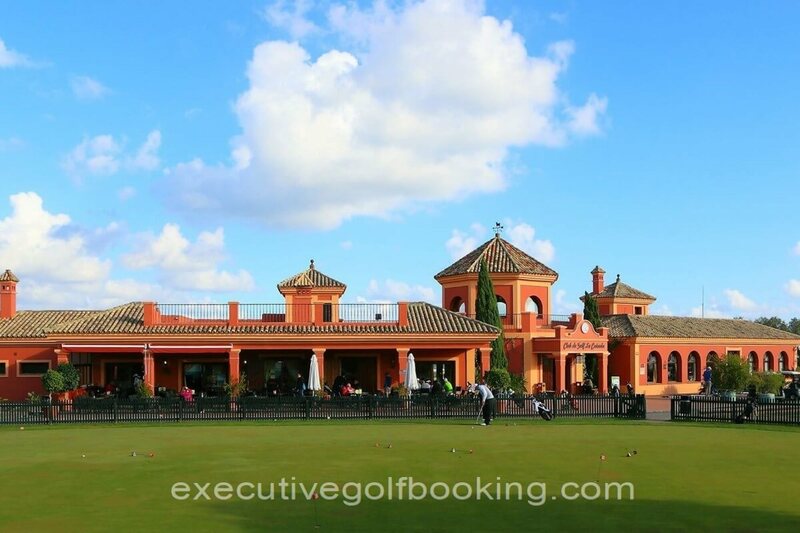 The practice area consists of a large driving range with a platform of 5,000 square meters and 250 meters long , it becomes one of the largest in the Costa del Sol area complete with two practice putting greens and approach area . The Club de Golf La Cañada, with an average of 68,000 outlets , is one of the fields takes more outlets within the year. Open every day of the year , You enjoyed a pleasant climate with an average temperature of 22 º C and over 320 days of sunshine a year. Summer time is from 08.00 to 21.00 and 08.00 to 19.00 in winter .